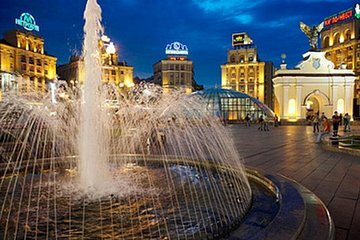 Experience Kiev in the moonlight on a two-hour private sightseeing tour. Beginning with hotel pickup, your private guide will take you to see the city’s major attractions illuminated in all their splendor. Drive past the UNESCO World Heritage Site of Kiev Pechersk Lavra and more. Then, enjoy a nighttime stroll around the city center while your guide narrates.